On May 1, 1915, the Lusitana sailed from New York bound for Liverpool. It has almost 2000 passengers on board. Germany had declared the seas around Britain part of the war zone, but the boat went on its course anyway. What the captain and passengers didn't know was that a German U-boat would be waiting for them when they got into the waters around Ireland and their fate would be sealed. 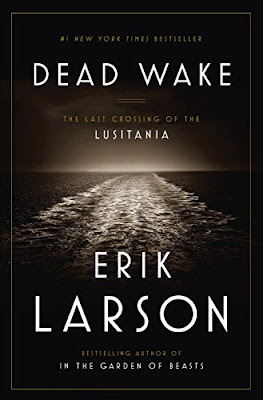 This story tells the stories of some of the survivors, and goes back and forth between the passengers on board of the Lusitana and Walther Schweiger who was on the U-boat that would eventually sink the Lusitana killing 1200 people (many women and children). The story recounts the time on the ship, and then what happened in the aftermath of the disaster. I enjoyed this book. The Lusitana has come up in a historical fiction book I have read in the past, so I have been intrigued about what happened to the ship. 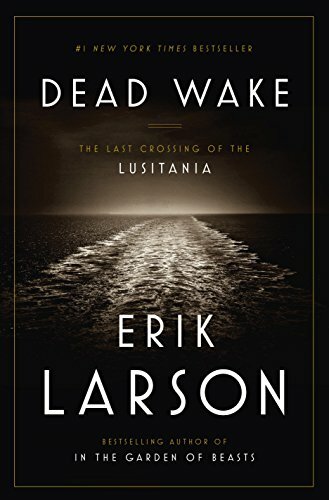 I have to admit that I was more drawn to the story of the passengers on board the Lusitana than the second half of this story which is about the U-boat leading up to it destroying the ship. But I understand that one lead to the other, so it is a necessary part of the story. The author ends the book with telling us what happened to some of the survivors of the boat, and also the captian of the U-boat. It is definitely worth the read, and you can't help but feeling that this loss of 1200 lives could have been completely avoided on a lot of levels.